When Central Narcotics Bureau (CNB) officers raided a drug den at Chin Swee Road on in the early hours of Wednesday (June 5), they probably weren't expecting to see a child there. The four-year-old girl was found in the unit where sachets of 'Ice' were strewn within possible reach. 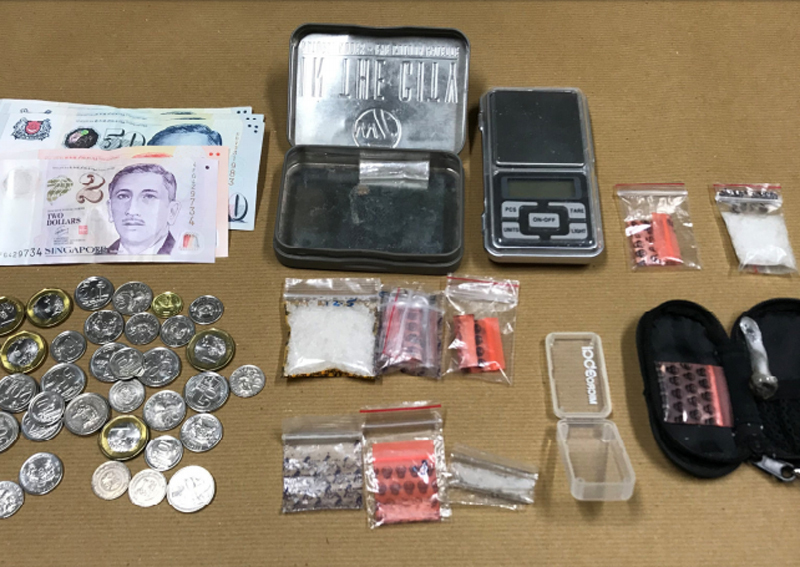 About 26g of 'Ice', a digital weighing scale, and improvised drug paraphernalia were seized from the drug den. CNB said it has worked with the Ministry of Social and Family Development's Child Protective Services to ensure that the girl receives care under an immediate family member as well as support from community services. The operation also saw the seizure of about 48g of 'Ice', 12g of heroin, 32g of cannabis, 23 'Ecstasy'' tablets, 1g of ketamine, 1g of cocaine, 55 Erimin-5 tablets, and three LSD stamps. Investigations into the drug activities of all arrested suspects are ongoing, said CNB.